LPU NEST 2019 Result of Interview for MBA has been released on 18th February 2019. 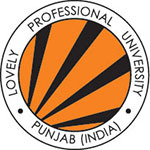 Lovely Professional University National Eligibility and Scholarship Test (LPU NEST) is a university level examination. This examination managed by the Lovely Professional University. It is conducted for admission into B.Tech & MBA prgrammes offered by the University. Candidates check this article to get complete information about LPU NEST Counselling 2019 including the admission procedure, choice filling and related details. LPU NEST 2019 Interview result of MBA for schedule I has been released on 18th February 2019. Candidates can apply for admission from 18th February to 30th April 2019.Click here to check result. After the result announcement, qualified candidates have to apply for the counselling procedure. The LPU NEST 2019 Counselling will be organized through online mode from 4th May 2019 for B.Tech/MBA Course. The seat will be allotted to the candidates on the basis of the merit list. Candidates who apply for the MBA programme have to pass the entrance test & group discussion and personal interview round. In the counselling procedure, candidate’s documents will be verified & seat will be allotted to the candidates. The counselling will be done on the basis of the candidate’s performance in the entrance exam. The seat will be allotted to the candidates on the basis of the merit list. The University can change the mode of seat allotment at any time for admission into any programme. The University will decide prescribe or amend or withdraw cut-off percentage marks for the admission purpose to any programme at any time during the admission process. The vacant seats will be offered to the general category candidates if sufficient number of candidates of reserved category is not available on the given date. In case of general category seats, if the open category seat remains vacant, then it will be transferred to the next candidates on the waiting list. Thereafter, if the seats remain vacant will be offered on the first come, first serve basis, subject to the eligibility criteria and cut-off marks. If you have any other doubts about LPU NEST 2019 Counselling, you can drop a comment in the comment box. About the online councelling,are there centers for that or can we do the online councelling from our own mobile phones? I applied for bsc forensic science do i need to apply for MBA counselling? Is there any format for the character certificate needed at the time of counselling .If it is there please send the format on my mail .Also it is to be made by whom a gazetted officer , a bank manager etc. Not required at the time of counselling but during admissions. If you are a CBSE passed out you can submit the copy of same else you can get it made and attested by a district level gazetted officer. That can be submitted later when XII result gets declared. can I know the results releasing dates?